We’re nowhere close to reaching the limit of the potential possessed by lasers. No story demonstrates that better than this one. This feature covers the introduction of a new acne laser treatment based on the laser technology that is already currently used to remove tattoos. Lasers are constantly-developing technology, so it should be no surprise that treatments options are still continuing to expand and improve. 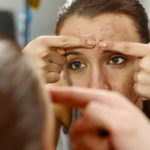 Interesting things have happened with lasers already when it comes to acne treatments, but what’s coming next may present new options for those who didn’t have them before. To be clear, lasers are hardly new as an acne scar treatment. Several kinds of lasers are already used to treat acne, though they work much differently than the ones currently used to remove tattoos. Most notable is the CO2 laser, which is already used for many different treatments at DermMedica. The current CO2 laser is already recognized as an extremely effective treatment. 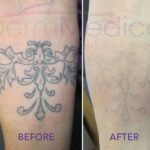 Yet, many people were surprised at just how successful the tattoo removal lasers were at dealing with acne when submitted to a serious study. 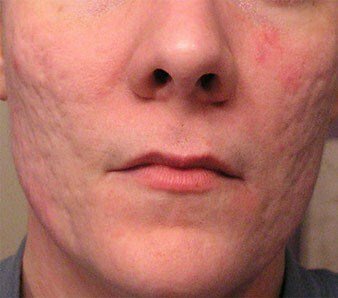 Researchers just recently completed the testing, where twenty adults with acne scarring were given six treatments with laser. The testing ended with unanimously-positive results among all the participants. Every single one of them described themselves as satisfied or extremely satisfied with the results. A general improvement of the skin was reported in all cases, and there were even further improvements in the look of the skin by the time the volunteers returned for a follow-up appointment. If you suffer from acne, you’re in luck. There has never been such an awesome variety of accessible treatments available. However, remember that this particular laser may not be the best option for you. Speak to a doctor about the most effective treatment.